Your friend is getting married and now you need to organize an amazing bachelorette party! 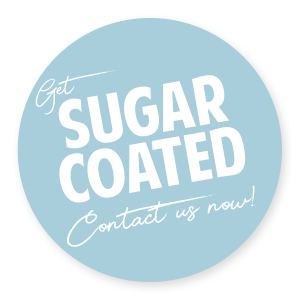 Our Sugarcoated studio, located in Rotterdam centre, is your place to be. You can perfectly combine your Sugarcoated event with a nice dinner or a night out. We have created 3 different options to celebrate her last moments of freedom. With a group of 8 ladies or more we can organize one of our Sugarcoated workshops exclusively for you ladies. We will combine our make-up and hair class together so you will leave the Sugarcoated studio looking like bombshell pin-ups! While the bride get's turned into a Sugarcoated pin-up by a pro the rest of the ladies will follow our workshop pin-up hair & make-up. We will teach you to turn yourself into a pin-up in this workshop full of fun. The bride-to-be will be photographed in the well known Sugarcoated style. First she will be turned into a pin-up with hair, make-up and clothing. Then she's ready for the spotlights. With posing tips and tricks we will help her to look like a vamp! The finishing touch is our Sugarcoated goody bag for the bride-to-be. More info about this shoot you can find under 'Mini Ladies Shoot' on this website. Final result...you will all leave the studio looking like a pin-up! Ready to party?! We will start with a vintage hair and make-up workshop for the complete group including the bride-to-be (she will be our model so she will get the VIP treatment). In this workshop we will teach you to turn yourself into a pin-up. After the workshop everyone get's a touch up by the Sugarcoated team to make sure you do look like a vampy pin-up ready to enter the photo studio. The next step is to get you ladies dressed in one choosen theme; sailor ladies, housewives or rosie the riveters/factory workers and to make a Sugarcoated group picture. We will shoot this pic in parts of 3 to 4 persons at one time, later on we will photoshop these pics together to create the group pic. This way we can focus on each and everyone and make you look your best!